Vitamin E – Confers protection against diabetes by protecting pancreatic B-cells from oxidativestress induced damage; May prevent progression of type I diabetes. Vitamin D – Lowers risk of type I and 2 diabetes; Suppresses inflammation of pancreatic B-cells. 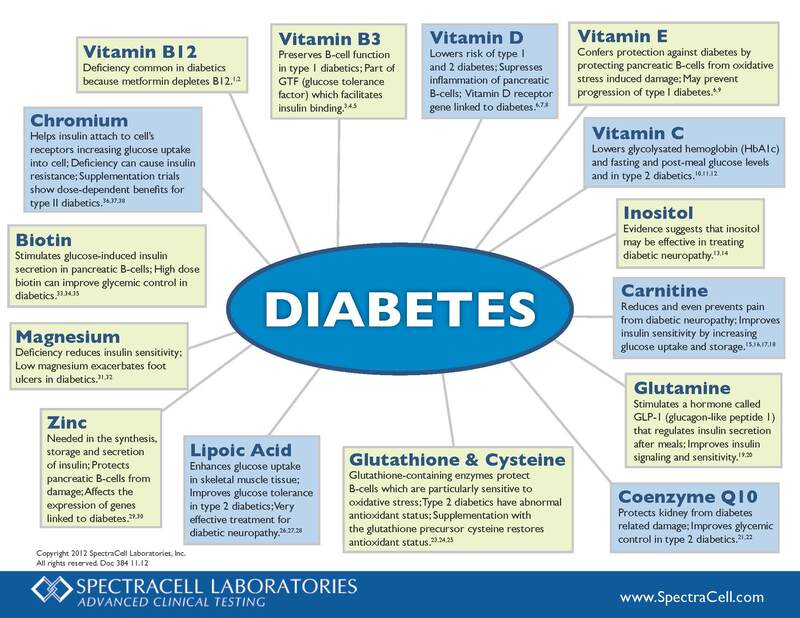 Vitamin D receptor gene linked to diabetes. Vitamin B3 – Preserves B-cell function in type I diabetics; Part of GTF (glucose tolerance factor) which facilitates insulin binding. Vitamin B12 – Deficiency common in diabetics because metformin depletes B12. 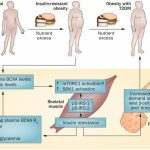 Chromium – Helps insulin attach to cell’s receptors increasing glucose uptake into cell; Deficiency can cause insulin resistance; Supplementation trials show dose-dependent benefits for type II diabetics. Biotin – Stimulates glucose-induced insulin secretion in pancreatic B-cells; High dose biotin can improve glycemic control in diabetics. Magnesium – Deficiency reduces insulin sensitivity; Low magnesium exacerbates foot ulcers in diabetics. Zinc – Needed in the synthesis, storage and secretion of insulin; Protects pancreatic B-cells from damage; Affects the expression of genes linked to diabetes. 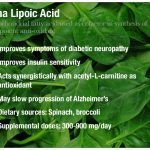 Lipoic Acid – Enhances glucose uptake in skeletal muscle tissue; Improves glucose tolerance in type 2 diabetics; very effective treatment for diabetic neuropathy. Glutathione & Cysteine – Glutathione-containing enzymes protect B-cells which are particularly sensitive to oxidative stress; Type 2 diabetics have abnormal antioxidant status; Supplementation with the glutathione precursor cysteine restores antioxidant status. Glutathione is very helpful with modulating inflammation cascades so common in autoimmune processes. Coenzyme Q10 – Protects kidney from diabetes related damage; Improves glycemic control in type 2 diabetics. Glutamine – Stimulates a hormone called GLP-I (glucagon-like peptide I) that regulates insulin secretion after meals; Improves insulin signaling and sensitivity. Carnitine – Reduces and even prevents pain from diabetic neuropathy; Improves insulin sensitivity by increasing glucose uptake and storage. Inositol – Evidence suggests that inositol may be effective in treating diabetic neuropathy. Vitamin C – Lowers glycolysated hemoglobin (HbA1c) and fasting and post-meal glucose levels and in type 2 diabetics.